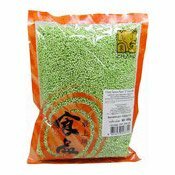 Tapioca pearls are used to make the popular bubble milk tea. 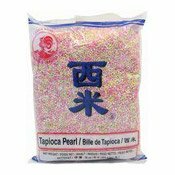 White powder surface on tapioca pearls is starch. The appearance is normal and safe for consumption. 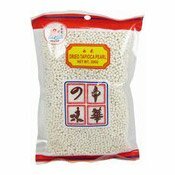 Ingredients: Tapioca Starch, Water, Corn Starch, Colour (E150d), Gelling Agent (E412), Preservative (E262), Artificial Flavour. 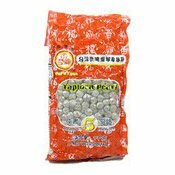 Simply enter your details below and we will send you an e-mail when “Tapioca Pearls (Black Boba) (黑珍珠西米)” is back in stock!